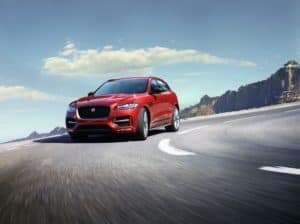 Providing one of the largest selections of new and certified pre-owned Jaguar models in Central Jersey, we’re committed to exceeding your expectations through our full range of services. The car buying journey is a fun and exciting process that comes filled with a few important considerations. To make sure you’re choosing the Jaguar that best suits your lifestyle, we provide an extensive library of information on our site reviewing each of our premium models and trim levels. These reviews cover the most important specs, standard features, and available upgrades, so you can make an educated decision on your next purchase. Once you’re ready to take a closer look, simply stop by our convenient showroom or schedule a personalized experience through our site. On the day of your visit, one of our friendly and experienced consultants will be here to greet you at the door. Securing the best terms and rate is just as important as choosing the right model. That’s why our team of financing experts are here to answer all your questions and help secure you the type of financing that best fits your budget. Already have a specific model in mind? Use our car payment calculator to see how it can best fit into your monthly finances. You can also receive an initial estimate on the value of any vehicle you hope to trade in by entering it into our trade-in appraisal tool. From routine maintenance to complex repairs, when it’s time to schedule a service appointment, place your trust in the hands of our factory-trained and -certified technicians. Highly skilled and experienced in servicing your specific Jaguar model, our team provides honest and thorough care to keep your vehicle running at peak performance. 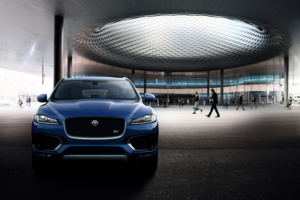 Dedicated to delivering high-quality service over the lifetime of your vehicle means using and selling only genuine OEM parts that meet your Jaguar exact specifications. Located in the heart of Monmouth County, this tiny village has roots stretching back as far as the earliest days of the nation. Just a few short miles away from Monmouth Battlefield, Englishtown has sat at the crossroads of New Jersey’s history for generations. Today, this picturesque borough is a popular choice for those who enjoy a quiet, family-friendly community that’s close to both New York City and the region’s famous shore points. Easily accessible from both the New Jersey Turnpike and Route 9, Englishtown makes for a nice day trip or date night. Visit Our Jaguar Dealer near Englishtown! 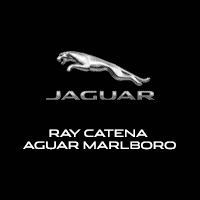 If you’re ready to take the next step towards buying or leasing the Jaguar vehicle of your dreams, stop by Ray Catena Jaguar Marlboro or go online to schedule a personalized visit today!